The safety of vehicles varies considerably, so it's important to check the safety rating before you buy – the more stars the better. Whether you are buying a new, used or even your very first car, this information will help you make the best decision for your needs. The Australasian New Car Assessment Program (ANCAP) provides independent and transparent advice and information on the level of occupant protection provided by vehicles in serious front and side crashes. Vehicles are awarded star ratings indicating the level of safety they provide in the event of a crash. The higher the ANCAP star rating the better the vehicle performed in the tests. ANCAP recommends that you only buy 5 star rated vehicles. How safe is your vehicle? Visit ANCAP and check the safety rating before you buy. With 5 star cars available in all categories and price points, it's not difficult to find a safe car. The first vehicle to achieve a 5 star ANCAP safety rating was in 2001. Since then, particularly since 2008 there has been a dramatic increase in the number of cars which have achieved a 5 star rating. This means that there are now many near new vehicles that have been awarded the maximum ANCAP safety rating for you to choose from. For more information on ANCAP safety ratings, visit the ANCAP website. The Used Car Safety Rating (UCSR) is an indication of the level of protection drivers could expect in a crash. Factors like price, colour, seating capacity and make are important when purchasing a vehicle, but safety should be on the top of your list. The UCSR Buyer’s Guide gives safety ratings for approximately 300 vehicles, covering more than 90 percent of popular used passenger and light commercial vehicles in the Australian market and includes a “Safe Pick” label, awarded to vehicles that not only protect drivers in crashes, but also minimise injuries to other road users such as pedestrians and cyclists. The UCSR Buyer's Guide provides you with the crash safety rating of used vehicles. Download the UCSR Buyer’s Guide and Brochure below. 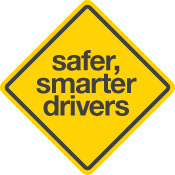 UCSR are developed by the Monash University Accident Research Centre (MUARC) and supported by state and federal road authorities and motoring clubs in Australia and New Zealand. Records from over 7.5 million vehicles in police-reported road crashes in Australia and New Zealand were analysed by MUARC. Each UCSR has been calculated based on the most recent crash data available. These independent ratings indicate that a driver of the worst-rated vehicle is 10 times more likely to be killed or seriously injured as a driver in the best-rated vehicle. Young drivers have a higher than average crash rate so it is particularly important that young drivers look at purchasing one of the best-rated vehicles and, if possible, one labelled as "Safe Pick". The great difference in safety ratings for used vehicles emphasises the importance to used vehicle buyer’s of the UCSR Buyer’s Guide. It is recommend that anyone looking to purchase a used vehicle reconsider purchasing a vehicle listed in the poor or very poor category and look towards vehicles that earned the coveted “Safe Pick” rating. “Safe Pick” vehicles are the safest for the vehicle’s occupants, while also providing good protection for pedestrians, cyclists and motorcyclists in the event of a crash. Safety should not be compromised by price with many of the top rating used vehicles available for under $10,000. Crash tests conducted by the NSW Centre for Road Safety show the importance of selecting the safest vehicle possible. This crash testing demonstrates the difference in outcomes when two used cars, comparable in price and category, but widely different in safety scores were crashed into each other. Choosing a used vehicle with a “Safe Pick” or high UCSR ensures the highest level of safety for occupants of the vehicle. Safety features such as side airbags could save your life in a side-on crash. The following video show the difference in a side-on crash, between a car fitted with side airbags and one without. If you were driving the car with side airbags, your chance of a serious head injury is approximately 1 per cent, however in the car without side airbags, this jumps to approximately 98 per cent. Always choose a used vehicle with the highest safety rating, and make sure it is fitted with as many safety features as possible for that model. Your choice of vehicle can be the difference between walking away from a crash, or being seriously injured or killed. Young drivers have a much greater risk of being involved in a crash than more experienced drivers, especially in the first 12 months of solo driving. So, if you are looking to buy your very first car, safety needs to be high on your list of priorities. So you've been working hard to save money for your first car, with so many cars on the market, how can you be sure you are getting the best car for your budget? We know that when buying a car, price is probably the most important consideration. But did you know that you don't need to spend a lot of money to get a safe car? The My First Car Checklist (PDF, 483 KB ) is a comprehensive list of safety features to help you evaluate the safety of the car you considering buying. You should be buying the highest safety rated car that you can afford. Why should safety be a high priority? Over the last decade almost 4,000 young people aged between 16 and 24 have been killed or seriously injured on South Australian roads. More than 60% of those deaths and injuries could have been prevented if they were driving the safest vehicle of the same age as the car they were driving. With so many new, near new and used cars around, it's hard to find one that fits your needs, is safe and most importantly fits your budget. We've done the hard work for you. If your budget will only extend to a used car that doesn't hold an ANCAP safety rating, check out the Used Car Safety Ratings (link to previous tab to see how safe it is, and choose a 'Safe Pick' car. Owning a car isn't just about finding and buying a good deal. Don't forget that cars have ongoing costs so make sure you budget for fuel, maintenance, repairs, registration and insurance. All vehicles must be registered. In South Australia this means paying for registration plus a Compulsory Third Party (CTP) Insurance fee. The CTP premium covers you if you are at fault in a car crash and cause someone else to be injured or killed. You can also insure the vehicle with a private insurer for Third Party Property Insurance or Comprehensive Insurance. Insurance premiums are calculated using your age, postcode, car make and model and your driving record. Premiums for young drivers are higher so it's a good idea to shop around for the best deal and ensure the cost of insuring your ideal car won't cost more than the car itself. If you are thinking of taking out a loan to buy your car, it's easy to get carried away and spend more than you need to. Keep in mind that interest can add a lot to the total cost of a car. Loans can be financial burden, so be sure of your financial situation and living expenses before taking out a loan. Under the age of 25? Driving restrictions may apply if you are under the age of 25 such as high powered vehicle restrictions for P-platers. Check the laws and conditions that apply to your licence. Since the invention of the first motor vehicle, better designs and new technologies have influenced the safety, comfort and efficiency of personal travel. From car horns (1908) and rear view mirrors (1911) to windscreen washers (1933) and seat belts (1967), hundreds of innovations have significantly changed the safety of driving. Large cars: generally more than 1,550kg. A minimum weight of around 1,350kg is recommended. Regardless of the size of the car that you choose, make sure you consider the safety features that are available and look for cars that have the highest safety ratings in their category. It is not appropriate to compare safety ratings across vehicle categories, particularly if there is a large weight difference. The reason is that with car-to-car crashes the heavier vehicle has a theoretical advantage (due to the physics of the crash). Similarly, a higher ride height might be an advantage in a car-to-car crash. However in single vehicle crashes, such as with solid fixed objects, the weight might no longer be an advantage. It depends on the type of crash. Also some small cars do remarkably well in crashes with larger vehicles as they have very strong passenger compartments and advanced occupant restraint systems and these features make up for the disadvantage in the weight mass. ANCAP insists on a good result in its side pole test for a 5 star occupant protection rating. This requires head-protecting side airbags or curtains. A 4 star medium car might not have this life-saving technology. ANCAP recommends that people choose a 5 star vehicle. Look for crash avoidance technology and safety features that help protect vehicle occupants in the event of a crash. Most new cars now have front and side driver and passenger airbags. However it is important to realise that these alone are not an adequate safety measure in a serious crash. There are many 2 and 3 star rated vehicles on the road that have airbags but are lacking in some of the other features discussed here. These protect the occupants by absorbing the energy generated on impact during a crash. Specially designed crumple zones give way, whilst maintaining the structural integrity of the cabin to protect the driver and passengers. Daytime running lights help others to see your car more easily whilst enabling you to detect risks and identify hazards on the road. Although it is difficult to draw firm conclusions regarding the link between vehicle safety and vehicle colour, studies do indicate that lighter coloured vehicles have slightly less involvement in road crashes than darker coloured vehicles. Lighter colour vehicles provide better visibility to other road users. For a car to be awarded a 5 star safety rating, it must have Electronic Stability Control (ESC). Different manufacturers have different names for ESC - for example Dynamic Stability Control (DSC) and Electronic Stabilisation Program (ESP). ESC is a computer-based system that helps drivers maintain control of their vehicles, particularly in adverse conditions such as wet weather. It continuously monitors a vehicle's speed, steering wheel angle, direction of travel and cornering acceleration, automatically applying individual brakes if there is a risk of skidding or overturning. These should be fitted to all seats in the car, not just front seats, to prevent serious whiplash in a crash. Whiplash is a leading cause of injury in minor crashes and can cause significant spinal, neck and head injury in more serious cases. As drivers of cars, we need to remember that pedestrians and venerable road users such as cyclists are just as important. There are a number of safety features and new technologies available now that can assist cars becoming safer for pedestrian impact. These include safe bonnet and bumper bar structures which are shown in separate pedestrian safety ratings from ANCAP and UCSR. In addition, features such as active bonnets, brake assistance, reversing sensors and cameras, parking sensors, collapsible bonnet mounts to provide a crumple zone if a pedestrian hits the bonnet and different construction materials (such as aluminium rather than steel) to provide a softer, less severe impact. The cabin of the car is designed like a cell, making it difficult for the engine to breach the compartment in a front-on crash. This also ensures that the steering column, dashboard, roof pillars and floor panels are not excessively pushed inwards onto the driver and front-seat passenger. Ideally, all doors should still be able to be opened and closed after a serious crash. To protect passengers in side impact crashes, we recommend cars that are fitted with side and curtain airbags for all seating positions. Curtain airbags usually drop down from the top of the side window, creating a cushion between the occupant and the side of the car and protecting the head and shoulders. Side airbags usually activate from the seat or door panel, protecting the torso. The oldest and still the most effective vehicle safety feature is a seat belt. Increasingly car manufacturers are installing three-point lap-sash seatbelts in the middle of the back seat, instead of the single lap belt which is not as effective in a serious crash. Check that the car has a seat belt warning chime to alert the driver when seat belts have not been fastened. MYTH: You can take more risks if you've got a vehicle with safety features - they will save you in a crash. FACT: While safety features are more likely to increase your chances of surviving a crash, they don't make you indestructible. Safety features won't necessarily save you from death or serious injury, particularly at higher speeds or if you're not wearing your seat belt.